In the history of Chicago art, much has been written about the works created in the late 1940’s, ‘50’s, and ‘60’s. The worldwide political struggles, the Depression years, and the upheaval caused by World War II, served as the backdrop of the artists in this exhibit. This societal disjunction pushed many artists to question artistic traditions and inspired many to break from the norm. The School of the Art Institute of Chicago (SAIC) served as the meeting ground for many of these artists, a place where their skills were groomed and where they could explore the existential questions that they sought to answer through their art. 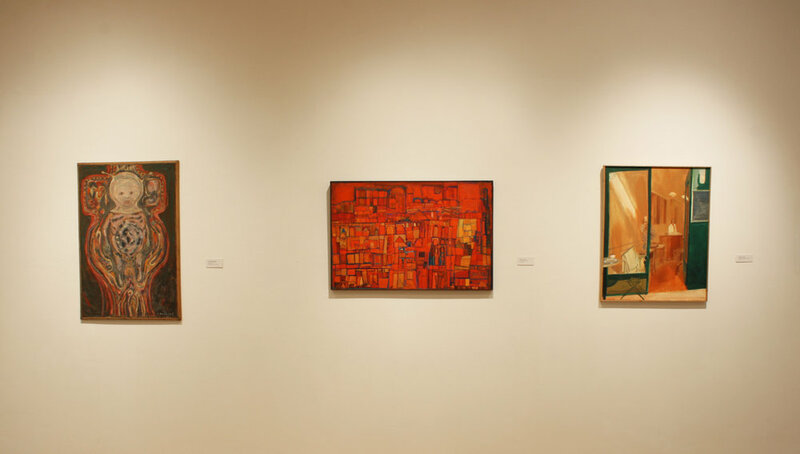 The Ukrainian Institute of Modern Art presents its latest exhibition “Chicago Connection – Artists from the Post War Period,” which focuses on artwork created in the ‘50s and ‘60s by students from the School of the Art Institute of Chicago. This period is central to the history of the Ukrainian Institute of Modern Art because it was during this time that the institute’s co-founders, Konstantin Milonadis and Mychajlo Urban, attended SAIC. 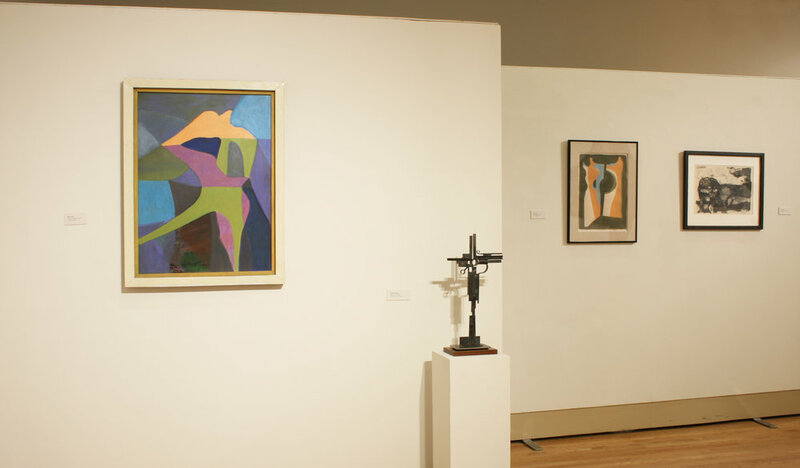 The paintings, sculptures, and prints featured in this exhibition were created by the co-founders and by their peers at SAIC, including Eleanor Coen, Seymour Rosofsky, Ted Halkin, Arthur Lerner, Thomas Kapsalis, Richard Hunt, Robert Kuntz, Donald Vogl, and Maurice Lapp—all were instrumental in many of the prominent artistic movements and groups in Chicago from the Monster Roster to Bauhaus. In addition to the works they created at SAIC, some of their later works are included in this exhibition, displaying the enduring influence that Post War art has on today’s artists’ imagination.